Robert and Will Russell. Photos: Ian Campbell. The only drive-through sweet corn stall in Australia is setting a cracking pace as visitors and locals rush in for their annual hit. 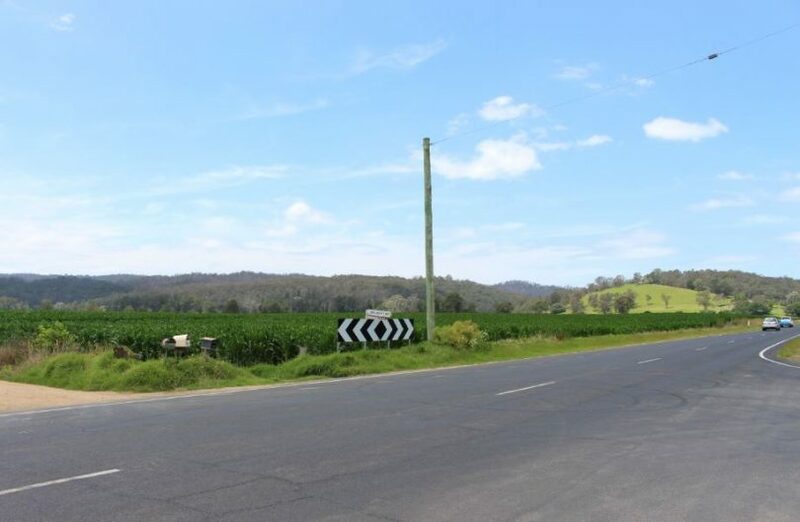 For the last 25 to 30 years, fields of tall sweet corn have been grown on the floodplains of the Bega River between Bega and Tathra at Jellat Jellat (pronounced: Jilla Jilla) by the Daly and Russell families. Jellat sweet corn is famous – not Bega Cheese famous, but a nice part of summer in the Bega Valley. Alongside fish and chips and sausage sandwiches, these super sweet, juice-in-your-eye-and-down-your-elbow, brilliant yellow cobs of corn are part of the New Year’s menu. LIVE with the people behind the famous Jellat Sweet Corn – the Russell family! The Russell’s picked up the tradition 10 years ago and spend most of January juggling the demand while milking 300 cows twice each day and managing a herd of around 650. Cows that graze on the same fertile ground that grows the sweet corn. “Because we are dairy farmers as well we really don’t have summer holiday plans,” laughs Will Russell. 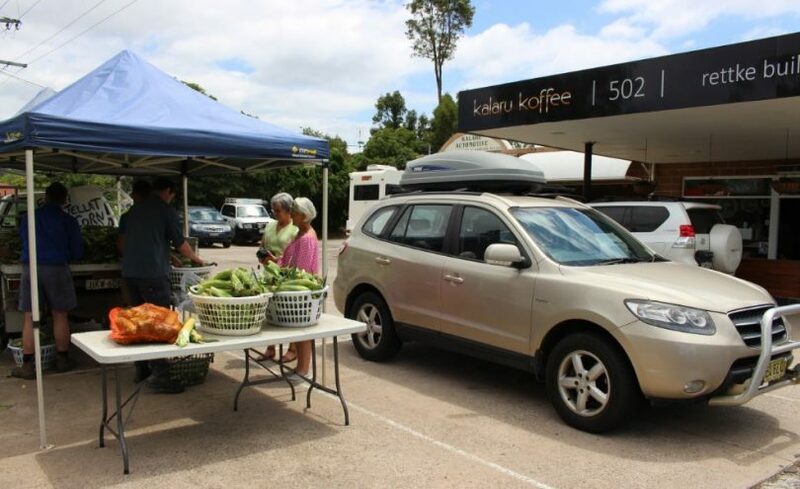 Perhaps Australia’s only drive-through sweet corn stall at Kalaru. The seed that starts all this comes from Snowy River Seeds at Orbost and goes in the ground in mid to late September after the soil is prepared with cow manure. “We try and keep it as close to organic as possible, we don’t use any insecticides,” Will’s dad Robert says. About two hectares is sown over five staggered rounds all geared towards the first crop being ready around New Years Day. 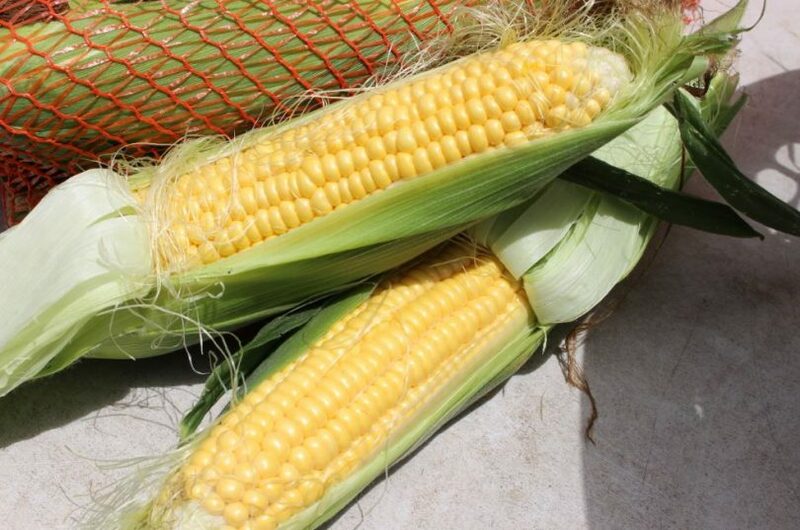 The drought of 2018 hasn’t held the crop back; most of Jellat is irrigated straight out of the Bega River, and while dry times will bring salt up the river from Mogareeka, this year’s sweet corn is one of the best. The seed comes from Snowy River Seeds at Orbost and produces a taste that is part of summer. The much-loathed white butterfly and their developing grubs have had some impact on the crop though. The army of family and friends manning the drive-in stall at the old service station on the Bega-Tathra Road at Kalaru check and cut off any damaged ends. A team of five or six people starts picking at about 6:30 each morning with a quota of two ute loads the aim before the stall opens at 9 am. Selling rolls on until they are sold out for the day. “The main reason I think people like it is that it is fresh,” Rob says. This year the crop is expected to last until January 14. “After that, the crop tends to get away from us and it starts to dry out and we can’t sell it,” Will says. “When we decide to stop selling to the public the rest will go as cow feed, but the majority of the corn you see on Jellat is maize – cow feed,” Rob says. Maize growing alongside the Bega-Tathra Road at Jellat. Aside from boiling it up and smothering it in butter, salt, and pepper, Will says people also eat his sweet corn off the barbeque, leaving the corn in its husk and placing it directly on to the barbeque hot plate. “The majority of the corn I eat is raw,” Rob says. 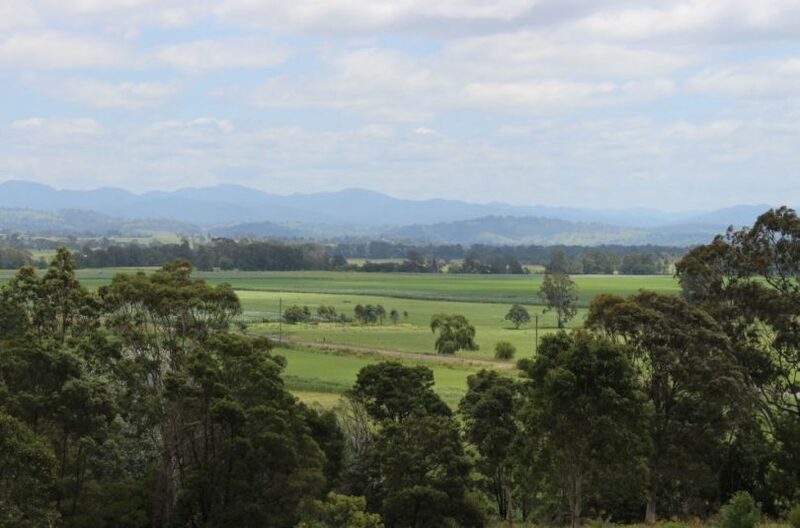 The Russells’ connection with this land and the region’s rich dairying history extends over many decades. 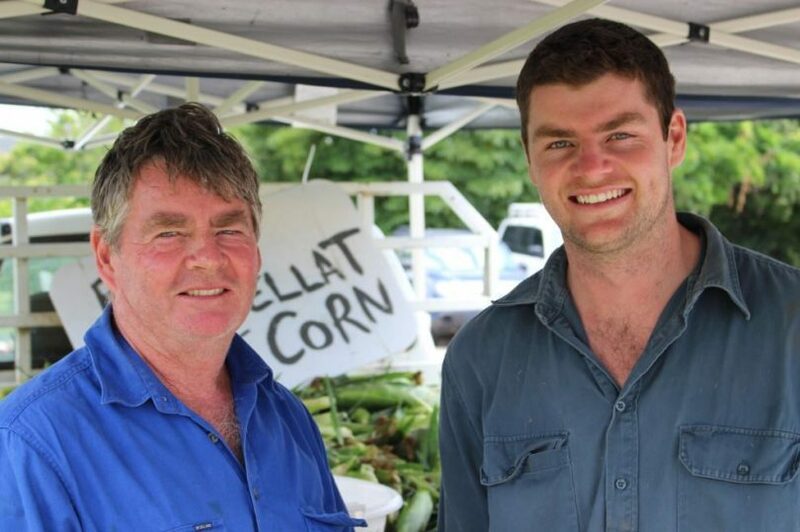 Their annual sweet corn stall connects the family with customers in a more personal way than the regular milk truck from Bega Cheese allows. Aside from the knockout taste, that’s what the community seems to enjoy as well, a real and direct link to food that is unique in these days where fruit and veg come wrapped in plastic. Looking out over the Bega River flood plain at Jellat, fields of corn growing tall. The Sugar Deli: Delivering insta-worthy drool-inducing sweet treats to your door!